Come and get your fresh veggies, grown locally at Groundwork Farms! 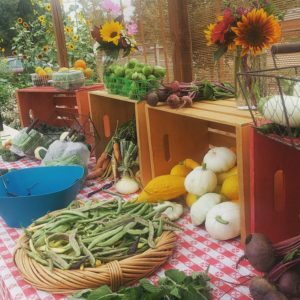 Celebration Garden’s farm stands have “pay-what-you-can” prices because we believe fresh produce should be affordable and available to all. Our farm stands include a variety of produce, including tomatoes, peppers, zucchini, and more! We offer a “suggested total amount” based off of our “suggested prices per item” which you can use to pay. You can also choose to pay more than the suggested total amount or pay under the suggested total amount. It’s entirely up to you! Your purchase is complete and you’re free to enjoy your new healthy produce!